An artist is one who expresses their own colors to the world, makes irrational and non-sensical gestures, and continually questions the system in the society which is established by the previous generations. ─ Thus, whichever community the artist remains, they not only accept the characteristics of the place but also transform them with creativity instead of appertaining their presence and identity. With wings of creativity, artists play the role of Hermes, bringing global news to local area continuously. In this context, artists are able to bond deeper psychologically with the other artists whom they meet across the globe than those they meet at home. Furthermore, the artist may experience unfamiliarity, perplexity, newness, and even the feeling of sparkling inspiration as they learn and adopt to the new place. As the end of the 2010s is near, at a point where Korean popular culture is experiencing exponential growth, we focused on the atmosphere that is provided for the artists in Korea, under the category of art. Neon signs that are lit 24/7, the service industry competing with time, the line between the politeness and rudeness beingl blurred and the companionship that comes along with it ─ these very aspects perhaps give artists a new inspiration to create. 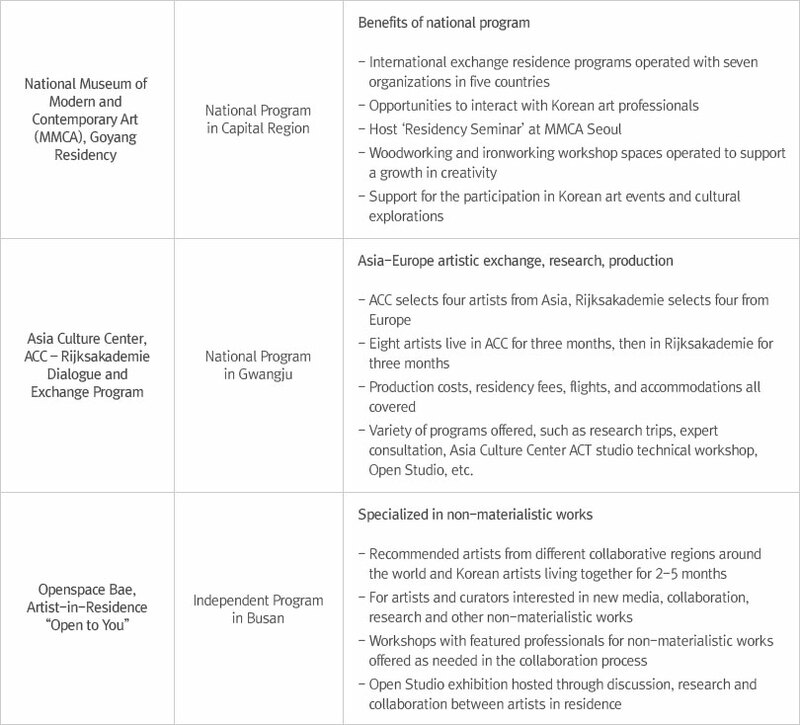 Over the next three articles, 11 residencies in Korea will be introduced. The categories are as follows: 1) national and public residencies that are in the capital, 2) national and public residencies in province, and 3) private and independent residencies. 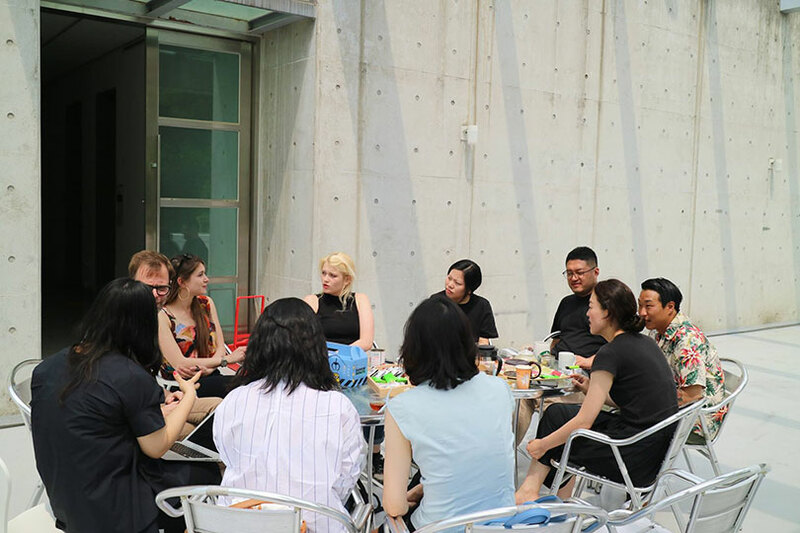 Due to the limited time for research and schedule conflicts, some residencies, such as ACC-Rijksakademie Dialogue and Exchange Program, operated in collaboration between Gwangju Asia Culture Center and Rijksakademie of the Netherlands, Hongti Art Center Residency in Busan; and Art Space IAa Residency in Jeju Island, were not able to be included. 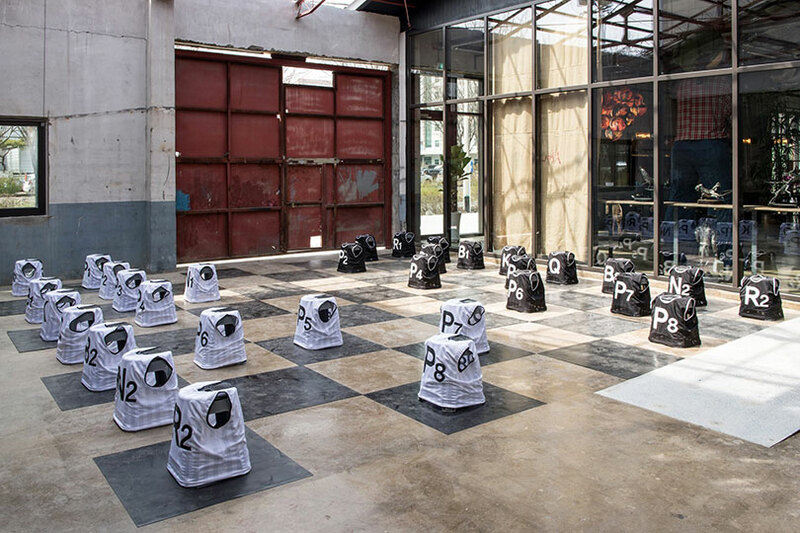 Nonetheless, the 11 residencies will let you ponder over which one to apply for. Let’s have a look at what each establishment have to offer.